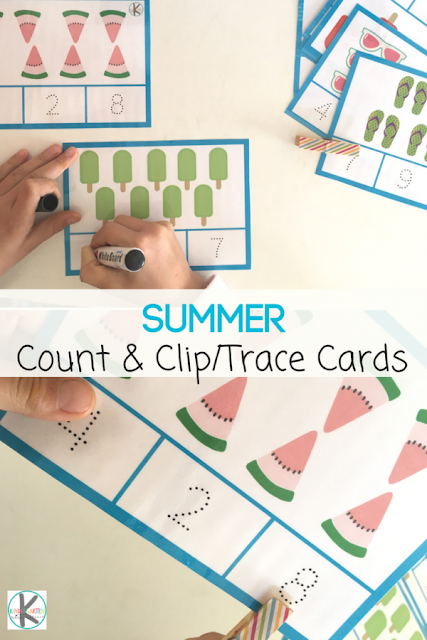 Let your child keep learning throughout summer with these count, clip, & trace cards perfect for preschool and kindergarten. 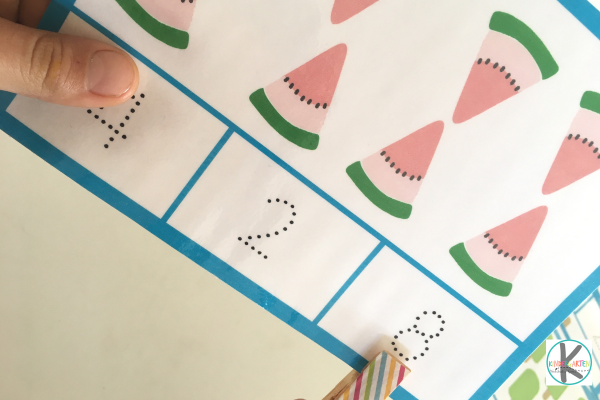 Counting and recognizing numbers go hand in hand and is a skill young children are naturally interested to develop. 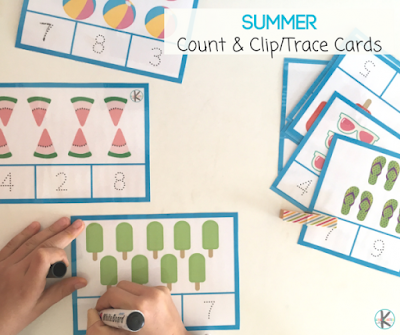 These FREE Summer themed cards are perfect for those children practicing these skills AND fine motor skills are developed too! Preparation Prepare the cards by laminating and cutting it out. (You don’t need to laminate, but it does keep longer if you do.) If you use wooden pegs, pretty it up with a strip of colorful Washi tape or paint it. 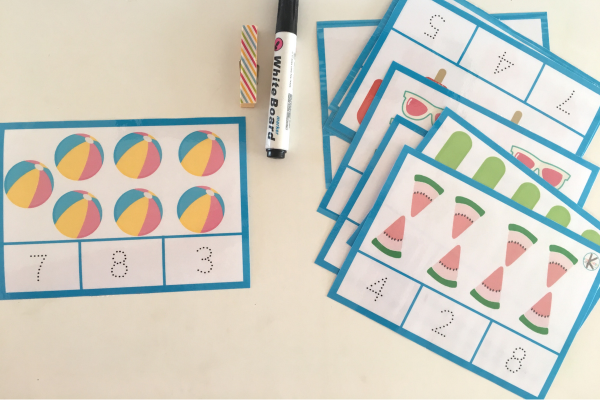 How to use these counting cards You can either add the cards, pegs and/or marker to a tray as an invitation to learn- outside will be fun! 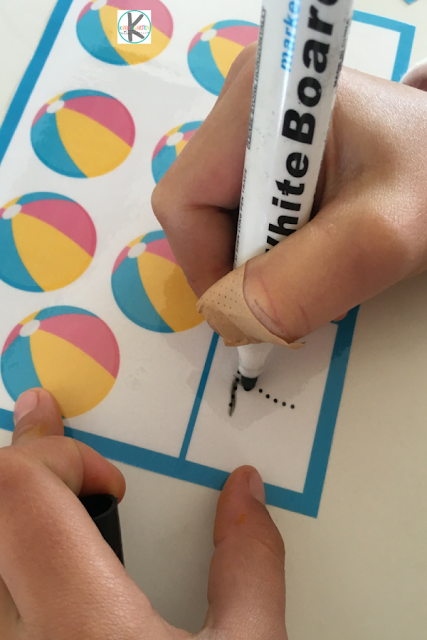 This method is good for kids proficient in counting up to 10 and can recognize numbers. Or, have a conversation about the pictures first- to develop vocabulary. Then count the pictures with the child and decide together which number to trace/clip. Now, pop the cards together with pegs/marker into a Ziploc bag and you have a busy bag for the road too!